Chocolate covered strawberries are a Valentine's Day tradition in our house and Jasmin has found a way to make them an even better Valentine treat! She has made chocolate covered strawberry hearts. The disco dust doesn't hurt either, but even without the extra sparkle they would be pretty fabulous. 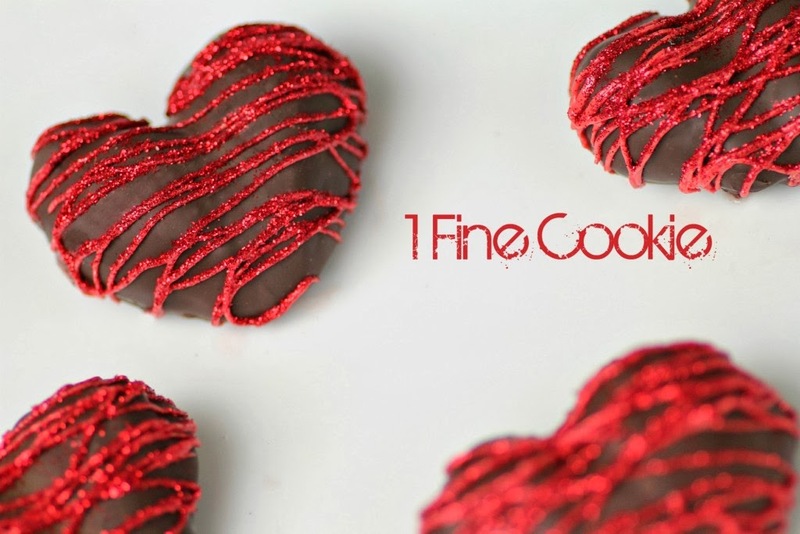 You can check out how to make chocolate covered strawberry hearts for Valentine's Day over at 1 Fine Cookie. Thanks this looks like fun. This recipe looks perfect for Valentine's Day! Thanks for sharing. New Follower.